At times some books become hit and bestseller that even you don’t realize their true worth. What’s the history behind this book? 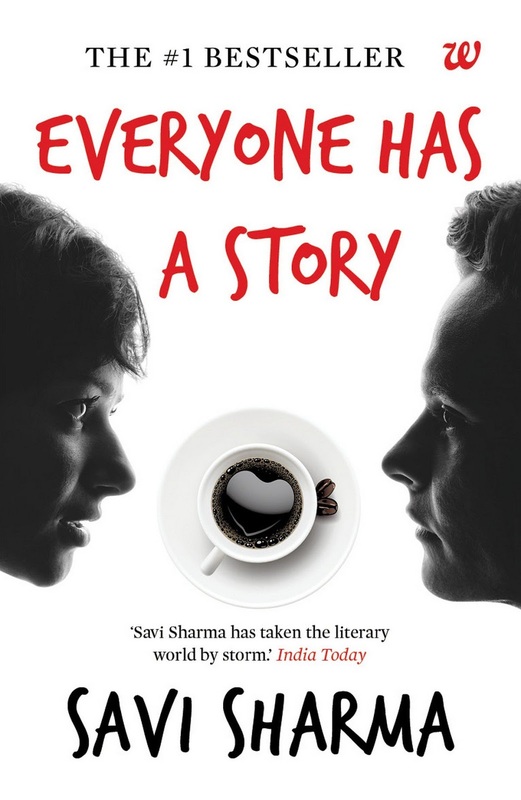 ‘Everyone Has A Story’ by Savi Sharma is one such book that recently became a hit book, probably because of its marketing. First it was published by Amazon, self-published, but it shot into fame, then Westland published it. It is available everywhere in India, must say that the writer is lucky that at first attempt she got such success that too for writing a banal, every house story. The story features four characters, two female, two male. One is a writer, another one is a bank, the next one is a café owner, and there is one more: she is just a customer of the café shop. Two out of four are extremely busy struggling in their lives for some or other thing. And the rest two are just page fillers, they have been sidelined for no specific reasons. Their stories are ordinary but the things that they are looking from their life are little bit extraordinary. How and when they all cross each other’s roads is very dramatic, common like Hindi movies and even predictable. The book became accidentally hit. Other than simple stories of four people, there is nothing refreshing about this book. Probably it’s the title that worked wonderfully for it. Because here in India everyone has a story is a common tagline, plus a common aspiration shared among all kinds of people. The book mainly touches the youth of India. Whatsoever, it is a vapid book. New and young readers may find it good, but for veterans it is just another warts and all.